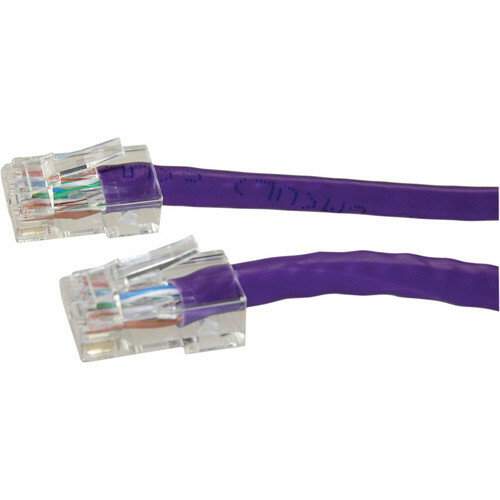 The purple 6' CAT6 Non-Booted Cable from NTW is designed to minimize crosstalk and return loss, and improve signal quality for Gigabit Ethernet applications. It is characterized at 550 MHz and is backwards compatible to its CATx RJ45 predecessors. 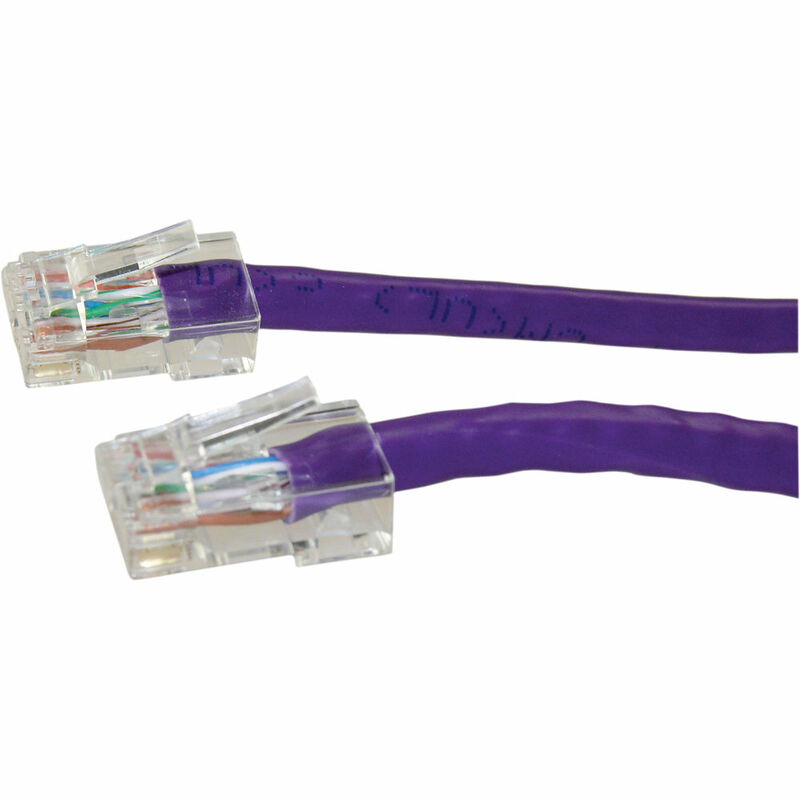 It features a flexible RoHS compliant PVC jacket and 4 pair #24AWG with 50μ connectors for good durability. Box Dimensions (LxWxH) 7.2 x 5.8 x 1.0"